Hi guys how’s your summer vacation? I hope that you enjoy your vacation mine? Actually this is a great time to share my family vacation and also a part of my travel blog. 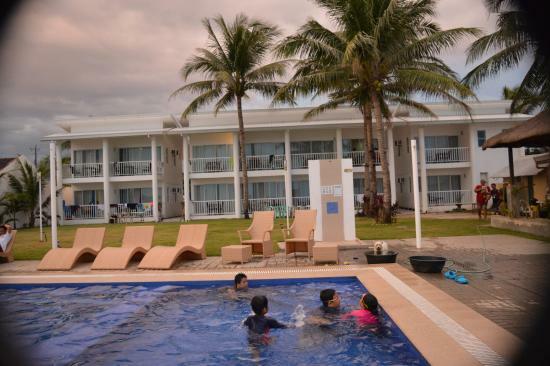 Last March 26 2018 me and my family go in a beach resort in Bataan Philippines to spend holy week. Because it’s already summer so this is the perfect time to swim and bonding time. We woke up 3:00 am to pack things and going to Bataan. 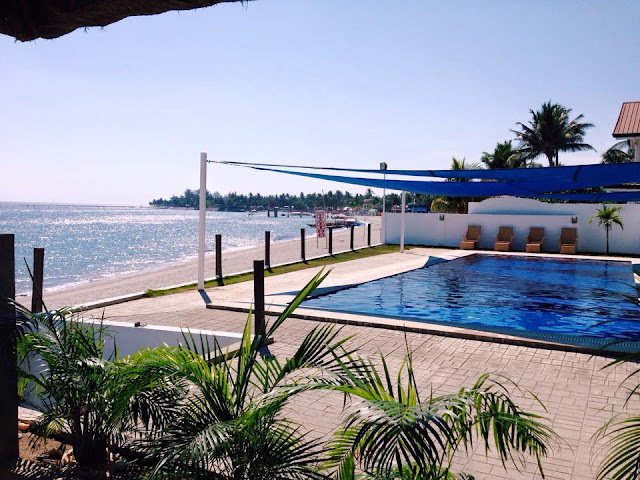 The name of the resort is ISLAND WATER RESORT in Morong Bataan. Honestly this place is very awesome and perfect for relax. We all know that travel with the family is perfect moment to bonding and more before that I decide to leave my job to spend travel and more. Make time to your self is great thing that you need to enjoy yourself. Since it is summe vacation. do something you would never thing of doing. Like going to the amusement. Or going to the beach. This is the time that you need to enjoy yourself. Make your life explore and adventurous. Here's the video and pictures. Here's the video Enjoy Guys! Looks like you and family had a great vacation. This is one of the vacations, I am jealous of you. Wish I could have come at that place, it does look wonderful. But in our country, Summer Vacations are literally over. Children are back to school and yeah that is it. Looks like your having a great time, I wasn't able to travel this time but hopefully to make it up soon. Lovely the photos. Looks like you are having a great time with the family! I'm so happy for you. I'm going on a vacation this season, let's hope winter will be a bit easier on us to think about holidays! Philippines is already in our bucket list. DOnt know much about Bataan but the place looks interesting and doable. We already bookmarked this blog this will help us in future. Thanks for sharing your experience with us. I hardly take vacation. Unless needed. Perks of being alone and workaholic u can say. Your pictures are lovely and it seems you really had a fun time. Oh goodness!This looks so fun and exciting. I love going on vacations especially when I'm trying o get away from busy life at work and school. For sure, visiting Bataan would be awesome..beach vibes will kill me one day! It looks like your trip was fun and exciting. I love going on vacations and try to at least take a few small ones each year! What an awesome way to spend a summer vacation, at the beach with family. My family does an annual reunion at our timeshare condo every summer on the beach in Florida and it's perfect bonding time and getting to see family we don't see very often. I see that you had a blast and I have heard so many great things about this place. I live in a vacation destination where is hot all year round, so all I have to do to get to the beach is drive for 10 minutes. My vacations are usually in December, when I go exploring one far away part of the world. Looks like you and family had a great vacation and the views are stunning. Hoping to go on more vacations with the family this September. I so want to visit Philippines. Your pictures are great too. Loving your vacation photo! looks like you had a great time! I am going on holiday to corsica this saturday! I love how close this motel is to the beach. I need to get a beach vacation in like now. Bataan is one of my most favorite place in the Philippines! It's beautiful, clean and people are friendly. It's just too far. I would love to explore Bataan! I am currently looking for holiday destinations to escape our cold winter! I would love to relax here. I'm always happy when I'm near water. It looks like you had a great time. I must visit Bataan when I get back to the Philippines! Great Photos! This place looks INSANELY relaxing! I am envious of this getaway and really hope I get to go on one soon!! It looks like you are having a great time! I agree that it is important to make time for yourself, and traveling is such a great way to do that. Looks like your vacation was very relaxing! Almost makes me wish summers would never end. Great photos! What a beautiful vacation spot! I love going to the beach. It's been a few years since I was at a beach and I'm really missing it. I agree,in the summer we normally like to visit a place we have never visited before. This looks like an amazing vacation. I misread the title at first and thought it was a giveaway! I sure wish it was. I need a fantastic getaway like this! I loved seeing your pictures! Looks like you had a great time in Bataan. I have been there a few times. I would love to revisit someday. Wow, such an awesome way to spend your summer in a relaxing place like this resort and I hope we can be there in the future. This seems like such a fun vacation! I love this kind of vacation! Looks like you had fun with family.Lovely photos. This looks like it would be such an amazing trip! I would love to get away to somewhere sunny soon. Love this! Already planning my itinerary for when I come home to the Philippines again next year and Bataan for sure is teeming with lovely places to relax in! You enjoyed your vacation nd seems very fun for you. I m homely girl nd like to stay at home bt after watching your pics I think I have to go for a vacation. Looks like a lovely spot for a summer vacation and it looks like you had fun! We aren't doing a summer vacation this year but we have one planned for fall! Looks like you had a wonderful vacation with family. I just got back from a trip to New York. Not as relaxing as a beach, but I had fun. Looks and sounds like you had a great time! I cannot wait for my next vacation I get to spend with my family. That seems like an awesome and fun trip to Bataan! Glad you enjoyed it. Looks like a great family vacation at Bataan Philippines. That is a lovely location and the resort looks great too! I have read about this place from about two or three other bloggers and I'm starting to get the itch to visit this place soon. I'm glad you're having a great time. I haven't been to Bataan before but now its wasy thanks to the ferry available near MOA. Maybe next summer I will! Love the pictures! Seems you enjoyed. I haven't been to Bataan but would love to visit. Bataan looks amazing. Too bad, I skipped that when I did my Luzon escapade. I also wrote on Snakes .. you can read it when you are free ..